List of Monday Daily Quests for Fate Grand Order/FGO. It includes the AP requirements, EXP, Bond EXP, QP, enemies, and possible drops. 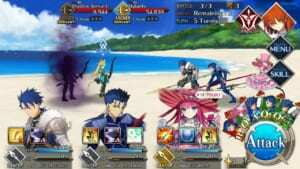 The Monday Daily Quests initially contained three different kinds of Fate Grand Order Daily Quests. One of the Monday Daily Quests included Ember Gathering for Archer and Rider class, dropping Ember EXP Cards. The other one quest for the Monday Daily Quests is an Enter the Vault quest which is available throughout the week on different days. And the last for the Monday Daily Quests is the fate grand order duel of the Cavalier class, where players duel servants under the Cavalier class to get certain items. However, since the patch 1.5.0, Fate Grand Order USA decided to do a revamp of the Monday Daily Quests. Instead of Duel of the Knights, the Monday Daily Quests now has a specific training ground. Specifically meant for Archer classes. The class selection is narrowed down instead one class per day instead of dealing with three classes at once. 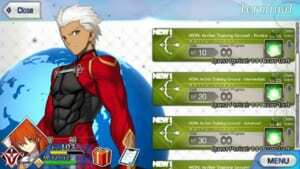 Players can also farm ascension and skill reinforcement materials meant for the Archer class Fate Grand Order servants. The Ember Gathering Quests are best for gathering EXP cards for your Servants. There are two classes featured every day, while Berserkers are available every day. 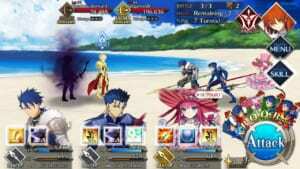 After the update for patch 1.5.0, Fate Grand Order changed the “Duel” into “Training Grounds” which become specific per class. 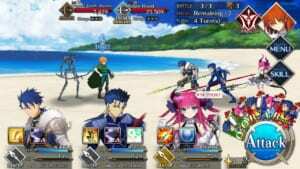 For the Sunday Daily Quests, the items available are all for the Archer class servants. However, there are some enemies that appear in the training grounds are random especially during the Sunday Daily Quests. The Monday Daily Quests seems to have highest amount of chances of one earning the Phoenix Feather. Phoenix Feather is an ascension material that drops only from the Amazoness Queen. To clear the Monday Daily Quests easily, the Ember Gathering Quests need a Saber/ Caster team. 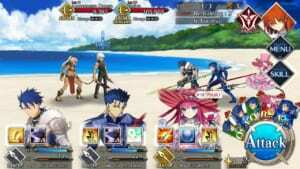 However, the Archer Training Grounds for the Monday Daily Quests need a full Lancer team. While using a full Lancer team may take longer than most, using servants like Elisabeth Bathory and Romulus may make the process faster due to their multi-hit noble phantasms. These quests are solely for farming QP. They’re very easy to beat especially if you have a lot of Riders in your team.